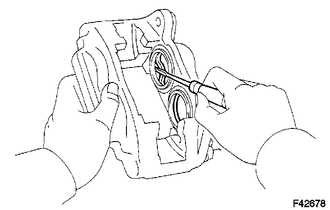 (a) Using a screwdriver, remove the 4 cylinder boots from the caliper. 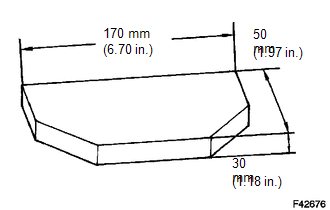 (a) Prepare a wooden plate to hold the pistons. (b) Place the plate between the pistons and insert a pad into one side. (c) Use compressed air and remove the pistons one side at a time from the cylinder. Do not place your fingers in front of the pistons when using compressed air. 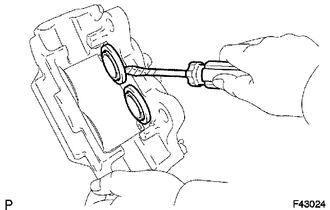 (a) Using a screwdriver, remove the 4 piston seals from the cylinder. 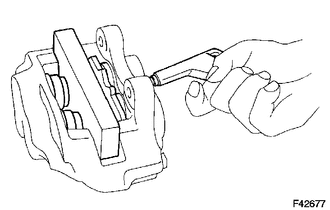 (a) Remove the bleeder plug cap and bleeder plug from the disc brake cylinder.